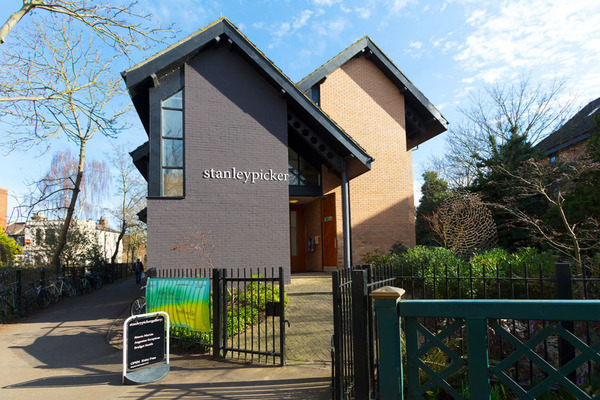 Stanley Picker Gallery is part of Kingston University. Located on Middle Mill Island, the Gallery stages regular contemporary art exhibitions and events, and hosts an annual Fine Art and Design fellowship programme. In 2014 the Gallery launched Stanley Picker Gallery Editions, specially created to directly support our programme of activities and the artists and designers we work with. Artist Laura Oldfield Ford produced our very first Edition, a colour lithograph entitled Abiding by Rituals, and in 2015 designer Fabien Cappello created a limited edition key ring inspired by his Streetscape bike stand design. Please visit our online to view all new editions and publications for sale.